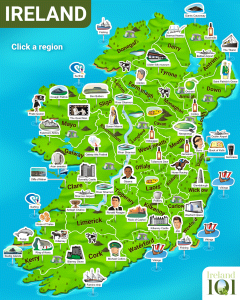 This, the most populous county in Northern Ireland is also home to its capital city, Belfast, the second largest city on the island. Most people know Belfast thanks to The Troubles, especially the Falls and Shankhill Roads, which have always been parallel bastions of the two opposing sides. Even more than a decade after the Good Friday Agreement of 1998, which brought peace to Northern Ireland, the two roads remain adorned with fascinating murals that depict the colourful, graphic and sometimes-violent images painted by Republicans and Loyalists. Despite all that, Belfast is really just a bustling U.K. city, with high street shops, modern restaurants and a fair smattering of historical sites. 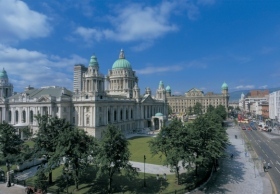 Among them, the grand Baroque Revival City Hall building marks the centre of the city in Donegall Square, while spreading to the north is the Cathedral Quarter, a booming cultural district centred on St. Anne's Cathedral. The massive, Greek-inspired white Stormont Parliament Buildings in the far north part of the city are also well worth a look. Writer C.S. 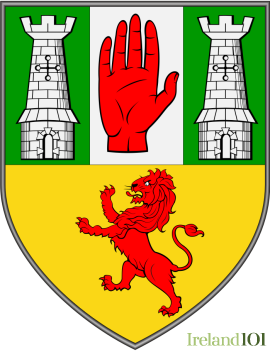 Lewis (Chronicles of Narnia) was from Belfast, and his childhood home, known as "Little Lea" is located in the Strandtown area in the east part of the city. Likewise, few people realise that the doomed ship, Titanic, was actually crafted in Belfast, and today there is a wonderful exhibit on the city's ship building trade at Titanic's Dock and Pump House. This portion of Belfast, known as the "Titanic Quarter", is also one of the most rapidly developing areas of the city, with new offices and condos going up regularly. 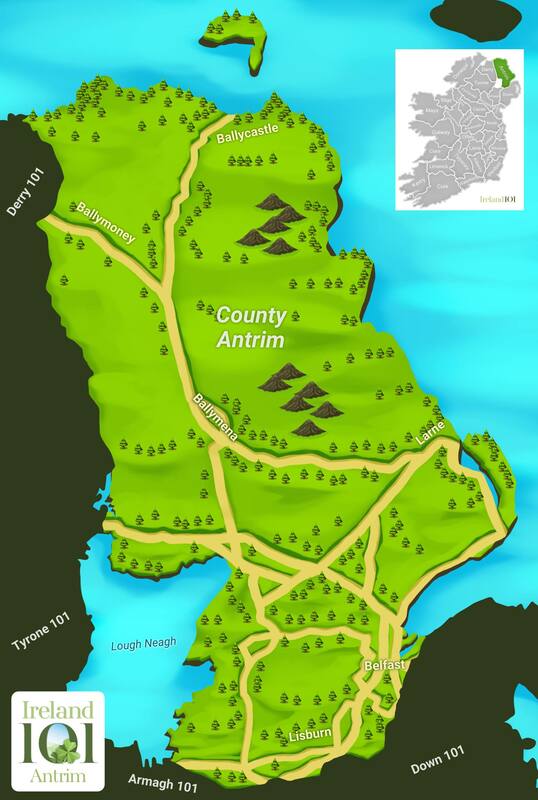 Though the weight of Belfast's immense history could easily keep you occupied for days, getting out of the city is a must in Antrim. 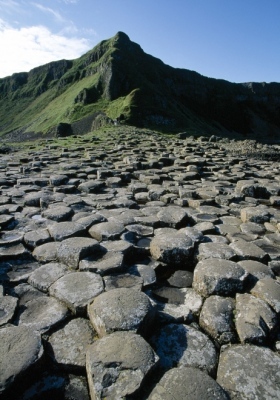 For starters, Giant's Causeway, a 15,000-year-old stone pillar formation along the north coast, is one of Ireland's top tourist attractions. 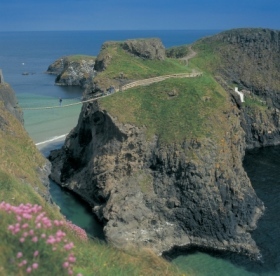 Not far from here, the Dunluce Castle are medieval ruins perched atop a rocky coastal outcropping, creating one of the most scenic castle sites you're likely to run into in this lifetime. 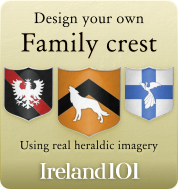 Castle hunters will also want to make a stop at Carrickfergus Castle on the north shore of Belfast Lough, which includes a very well-preserved outer stone wall and tower keep. 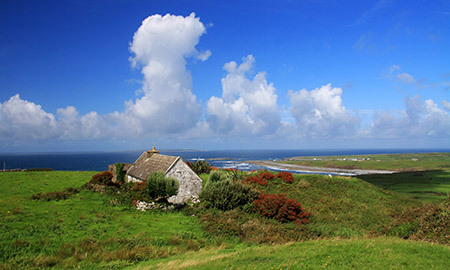 The outstandingly beautiful Glens of Antrim are a series of nine valleys that delve into the heart of Co. Antrim, offering a place to go hiking, view waterfalls and take in some of Northern Ireland's true natural splendour. 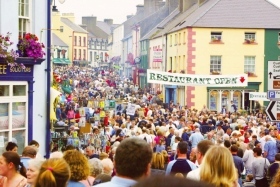 The Auld Lammas Fair is one of Ireland's oldest traditional market fairs and consists of horse trading, street entertainment and market stalls. 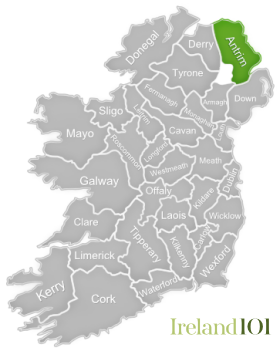 How much do you know about Antrim ?